Inclusiveness is a core value that shapes the way we run our firm. It’s part of our daily conversation about investing in talent, staffing our teams and measuring our success. We’ve made some groundbreaking moves: an industry-leading parental leave policy, a professional development forum for diverse in-house counsel and the first legal career fair for military veterans. We’re also honored to partner with many of the in-house legal departments most focused on improving diversity and inclusion, including Microsoft, Morgan Stanley, Gap Inc. and Bank of America, among many others. Microsoft recently commended us for our results in increasing diversity among our leaders. We rank #5 for diversity by Vault – but we are not satisfied. We are taking concrete steps to make our firm and our profession more inclusive. You’ll see it in our metrics and our lawyer development and coaching programs – and you’ll feel it in our culture. Our Diversity & Inclusion Initiative is led by Lorraine McGowen, who is recognized by Savoy as one of the most influential black lawyers in the United States, and Warrington Parker. The two spearhead a diversity and inclusion committee with members from offices worldwide. Our Women’s Initiative is led by Leah Sanzari. Congratulations to Orrick partner Lorraine McGowen, who has been chosen as a 2019 Rainmaker by the Minority Corporate Counsel Association (MCCA). Congratulations to Orrick partner Daniel Rubens, named today a "Best LGBTQ+ Lawyer Under 40" by the National LGBT Bar Association. Joi Bourgeois leads Orrick’s efforts to promote diverse and women lawyers to leadership in our firm and our profession. She works directly with the firm’s clients who share our commitment to diversity. She provides coaching to our lawyers to help them advance. She consults with the firm’s practice and office leadership in pursuing their teams’ diversity goals, including recruitment and sponsorship at all levels. In addition, she helps to introduce innovative programs that foster a stronger sense of community among diverse and women lawyers at Orrick and among our clients. Joi brings to the role 17 years of experience as a professional coach, coupled with the perspective of a former practicing lawyer. As a partner in the talent development firm Greiner Consulting Group, she has coached 1,500+ attorneys at all levels. She has deep knowledge of the unique opportunities and challenges women, ethnically diverse and LGBTQ attorneys encounter in developing relationships with clients and sponsors. She practiced corporate law at predecessor firms to Clifford Chance and Richards, Kibbe & Orbe. She is sought after as a speaker by law schools and professional organizations, including as a driver of diversity initiatives and programming at the New York City Bar Association. A graduate of New York University Law School and Northwestern University, Joi speaks French fluently and lives in Westchester and Fairfield Counties with her partner, her two athletic sons and a Pekingese and Pitt Bull. Learn more about some of the ways we are investing in women at Orrick, with our clients and in our communities. Lorraine McGowen is a lead restructuring partner with over 30 years of experience joining clients on the front lines of their recovery crisis and investment strategies with entrepreneurial enthusiasm and a true passion for innovation. For more than 30 years, Lorraine has assessed our clients' challenges and chances for recovery in the most difficult situations. She sees through the morass of legal and financial distress to discover the best strategies for returns and growth. Lorraine advises financial institutions, syndicated lender groups, creditor committees and other parties from the U.S., Europe, Asia and Africa who seek to maximize recovery or reduce exposure. She also advises investors and acquirers of companies. She interfaces with auditors, government regulators, investment bankers and others, and develops and implements mediation and litigation strategies, and negotiates reorganization plans and complex corporate and finance documents. Lorraine recently was the lead bankruptcy attorney representing Toyota in the highly complex global restructuring of Takata Corporation, one of the world’s largest manufacturers and distributors of automotive safety systems, including airbags. Takata’s restructuring, which included the sale of substantially all of its assets other than its inflator business, was implemented through in-court bankruptcy proceedings in the U.S. and Japan, and out-of-court in Europe, China, and other jurisdictions. Toyota was one of the largest creditors, with claims against Takata in excess of $7 billion. The transaction was awarded Restructuring of the Year (Over $5B) 2018 by The M&A Advisor and Cross Border Distressed M&A Deal of the Year (Mega: Above $1 billion USD) by Global M&A Network. Other notable engagements include representing financial institutions in connection with Puerto Rico’s $72 billion restructuring, representing multinational bank syndicates in connection with toll road restructurings, including the acquisition of a $6 billion toll road by an Australian firm, representing financial institutions, municipalities and others in the global Lehman insolvency proceedings, and representing a South African company in the Tronox bankruptcy proceeding in connection with its $3.4 billion acquisition of a mineral sands business. 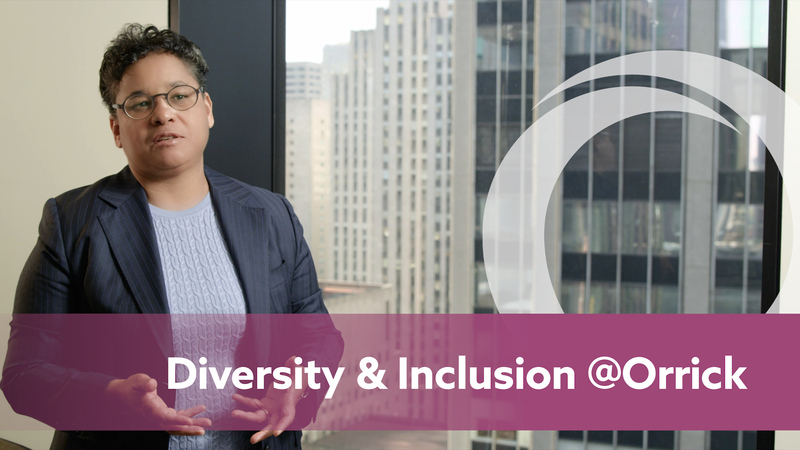 Lorraine is a leading advocate for diversity and inclusion (D&I) in the legal profession and creates programs for women, people of color and LGBTQ attorneys. She is a mentor, sponsor and chair of Orrick’s firm-wide, global D&I Initiatives. For Lorraine, and for Orrick, D&I is not just the right thing to do. Providing our clients with diverse teams is simply good business: diverse teams are more creative, collaborative and successful. Lorraine recently completed two terms of service on the firm’s 11-member Board of Directors and currently co-leads Orrick's Automotive Technology & Mobility group. She previously chaired Orrick’s Restructuring Group. She is on the Board of Directors of The New York Lawyers for the Public Interest and of the Institute for Inclusion in the Legal Profession, the Board of Legal Advisors for Legal Outreach in New York City, and the Advisory Committee for the Vance Center for International Justice. She was selected as a 2019 Rainmaker by the Minority Corporate Counsel Association (MCCA) and as one of Savoy Magazine’s Most Influential Black Lawyers for 2018 and 2015, and received Legal Outreach’s Pipeline to Diversity 2017 Champion Award and the New York City Bar Association Diversity and Inclusion 2012 Champion Award. IFLR 1000 Rankings named Lorraine a leading lawyer in the U.S. She was selected by Direct Women to be a 2016 Board Institute member. She is a frequent speaker and author on bankruptcy and insolvency and diversity and inclusion. Warrington S. Parker is a partner in Orrick's San Francisco office, and a member of the White Collar, Investigations, Securities Litigation & Compliance Group. Warrington's practice involves the representation of clients in both civil and criminal matters. These matters typically include government involvement or claimed violations of state and federal regulations or statutes. Thus, Warrington has represented clients in False Claims Act matters, claims brought by the Federal Trade Commission, employment discrimination cases involving a federal research facility, allegations of fraud and breach of contract brought against a client by a state, and allegations that a school board inappropriately spent bond monies in violation of California law. Warrington has conducted criminal and civil investigations, both nationally and internationally, including FCPA investigations in China and Japan. Warrington has handled and managed state and federal civil cases from the filing of complaints to discovery and trial. Since joining Orrick in 2008, Warrington has tried two criminal cases and three civil cases. From 1992 to 1996, Warrington was Assistant United States Attorney for the United States Attorney's Office, Central District of California, Criminal Division in Los Angeles. Before joining Orrick, Warrington was a shareholder at Heller Ehrman. “Veterans and military spouses may not take a traditional path to a career in the law, but they bring other strengths and skills that make them valuable hires." We believe that to be great at what you do, you need to be able to be yourself. Our commitment to inclusiveness enables our LGBTQ lawyers and staff to be authentic and to thrive. Congratulations to Orrick of counsel Nexus Sea on being selected as a member of the Leadership Council on Legal Diversity 2019 Fellows Program.